Do you care about the html that a plugin generates? 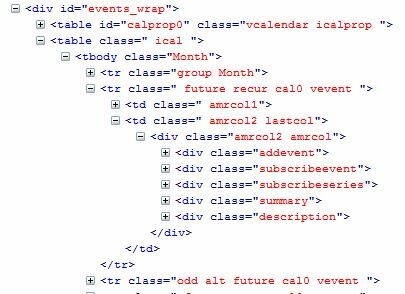 Some don’t as long as it works, and that’s okay – you can skip this…..
Do the default list types offered suit your requirements ? yes … good ! you too can skip this….. 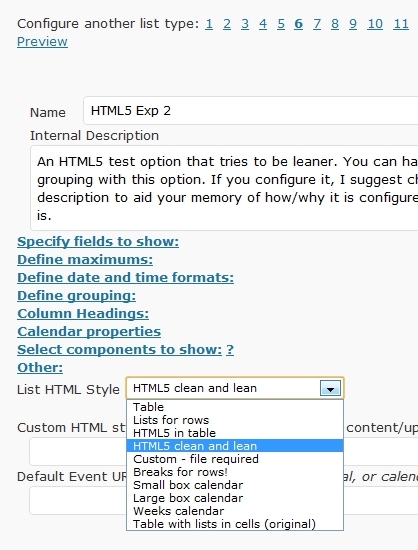 The events plugins allow you to choose the html generated for the event lists. 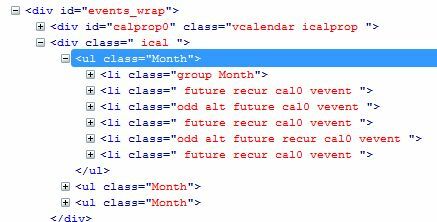 This affects the html and a little bit the logic (eg: the box calendar option will show empty days of course.). 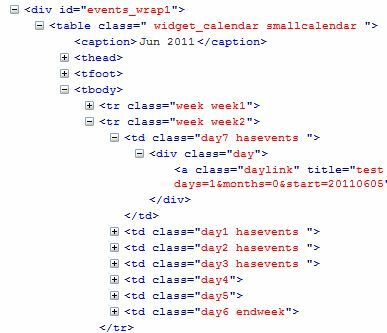 The same ids and classes are used, same content generated etc. 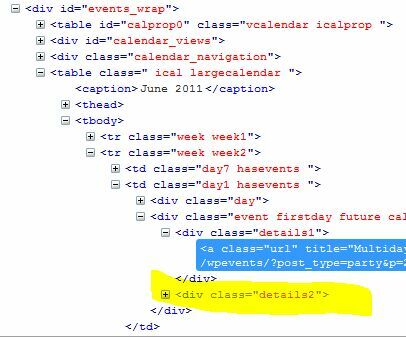 The html styles do NOT control what fields appear where – that is up to the rest of the list type settings. you need some css to make it look good. See custom css. you need to change the field order, or which ‘column’ the field is in to make it look good. 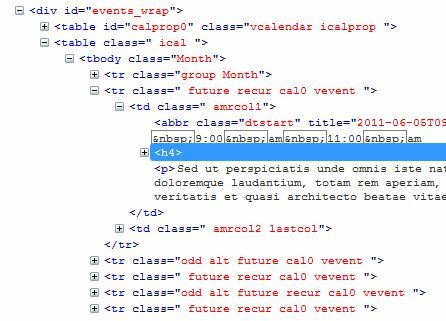 LARGECALENDAR: table based, more detail for events. 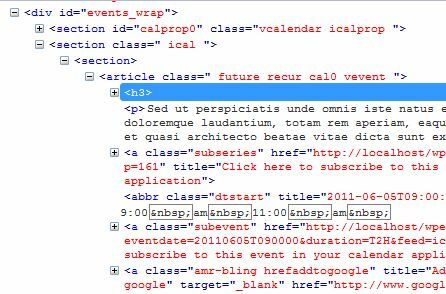 the default css expects 'column2' or 'details2' to only display on hover.